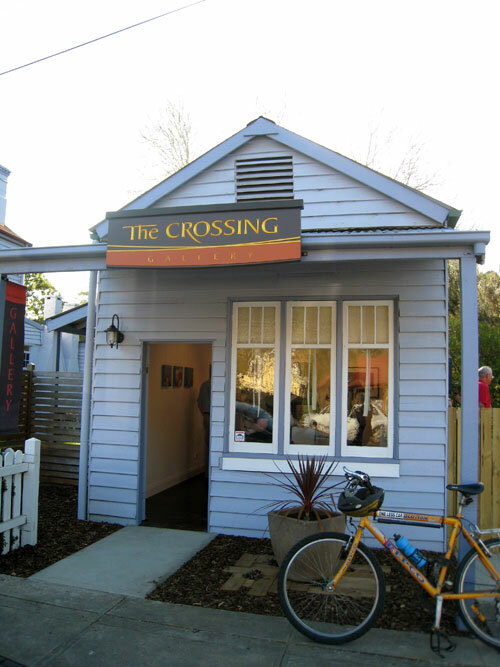 It’s all been gussied up very nicely (white walls/polished floor/spotties) and while the gallery space itself is relatively small there is a large outdoor area, to the side, which accommodates a sculpture garden. The inaugural exhibition itself was a somewhat mixed(group) affair – and we’ve absolutely no idea whether they intend to continue in this vein or opt for snappier solo shows…suffice to say we’ll be watching developments with great interest. 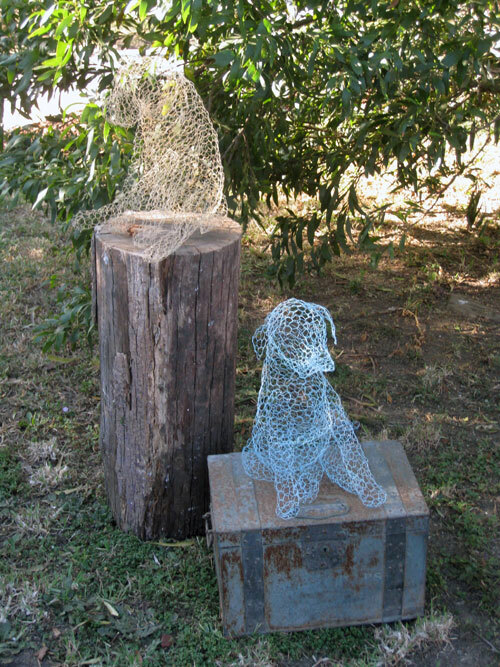 The painted chicken wire doggy on the tucker box (by Wendy King) was our personal fave. More pics of the opening action here.